Hi there! 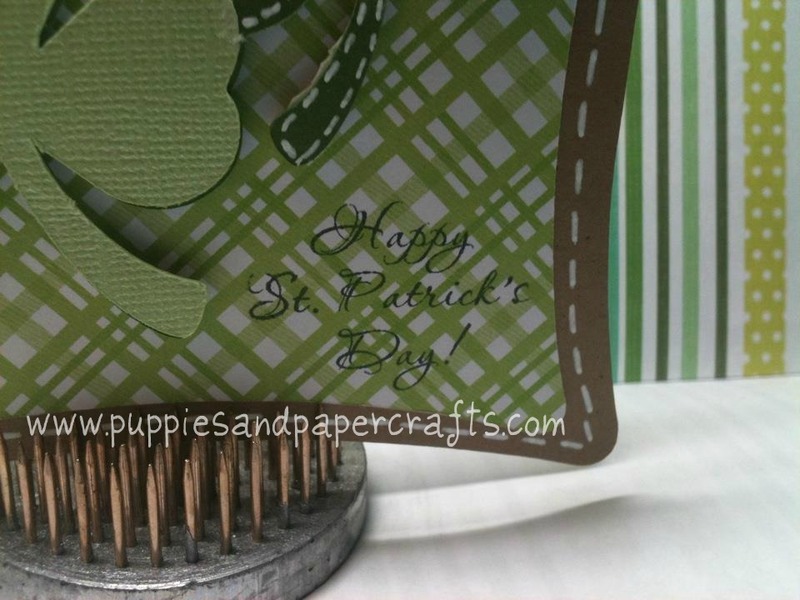 Its Kim from Puppies and Paper Crafts aka Ricketts Cricuts! 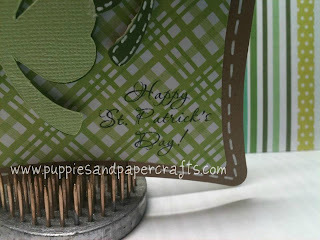 Its my turn to share on the Jaded Blossom blog and I wanted to share a St. Patrick's Day card with you today! Thanks for stopping by! Don't forget to check out all the amazing Jaded Blossom projects on Pinterest! Your card is so pretty. Love it. So cute Kim! 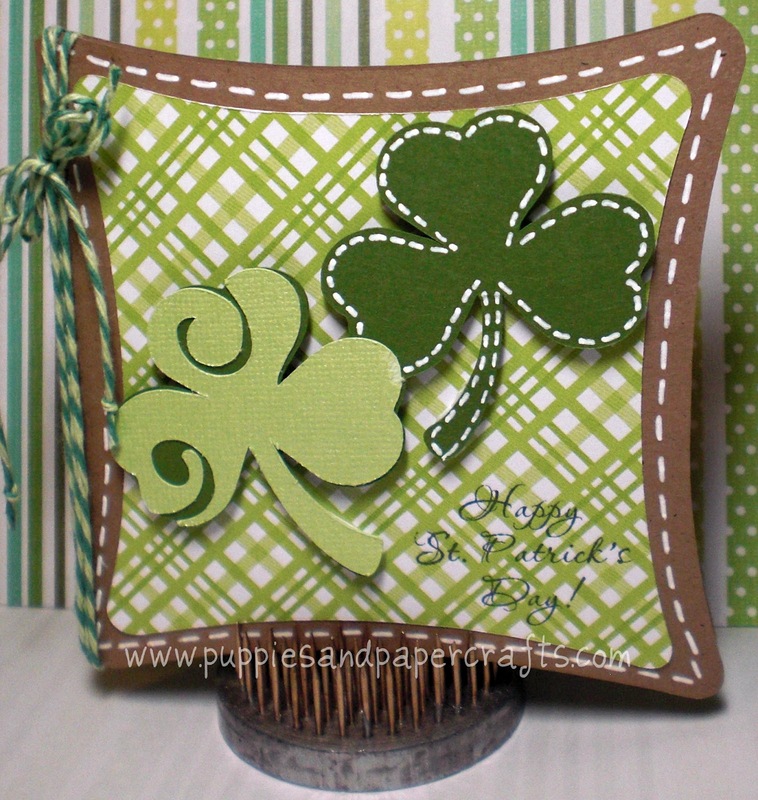 I love that you did a shape card!! love it kim !!!! 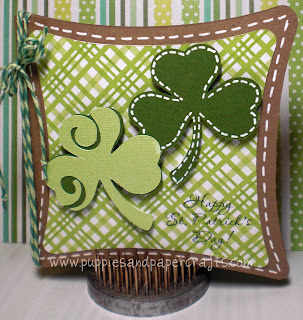 so cute and love the stitching !!! So cute! I love the shape of the card too! Love this! I'm such a fan of shape cards.